One of a kind light - filled Loft in a unique modern building located in the prime north Oak/Emeryville location. Let your creativity flow with the contemporary open living, dining room and kitchen exuding charm from its soaring high wood-beam ceilings. 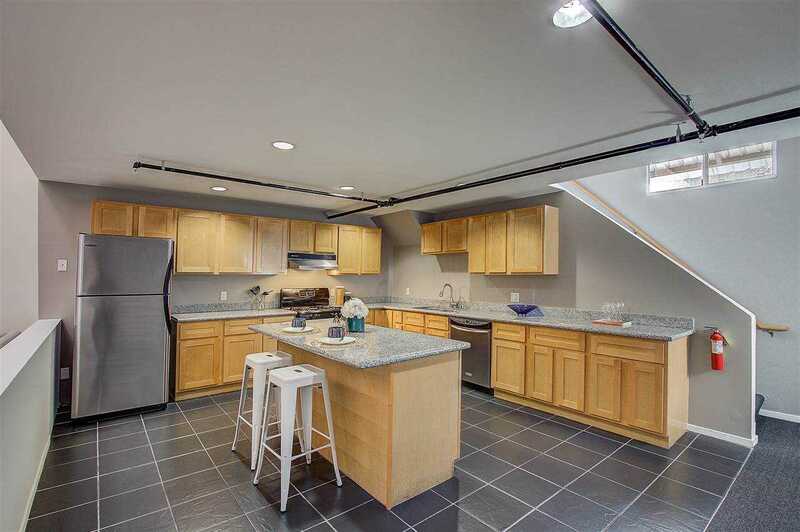 The kitchen is well-equipped with granite counters, stainless appliances and abundant cabinetry. The main level is ready for easy entertaining while you cook and serve drinks. The bedroom upstairs provides space for a sleeping area with conveniently located bathroom on the same level. The washer and dryer are in the community room. Plenty of off street parking to fit multiple vehicles. Located right near the Bay Street Shopping Center, Berkeley Bowl West, Ironworks. Also don't miss the Emery-go-round free public transportation nearby. SchoolsClick map icons below to view information for schools near 1175 59Th St #2 Oakland, CA 94608. Listing provided courtesy of Michael Robertson, Redfin. Home for sale at 1175 59th St #2 Oakland, CA 94608. Description: The property at 1175 59th St #2 Oakland, CA 94608 with the MLS# 40850402 is currently listed for $480,000 and has been on the Oakland market for 96 days. You are viewing the details of the real estate listing from the East Area MLS at 1175 59th St #2 Oakland, CA 94608, which features 1 bedrooms and 1 bathrooms, and has approximately 1147 sq.ft. of living area.